The Arizona Cardinals and head coach Bruce Arians made an important pick that should help improve their defense in the very near future. 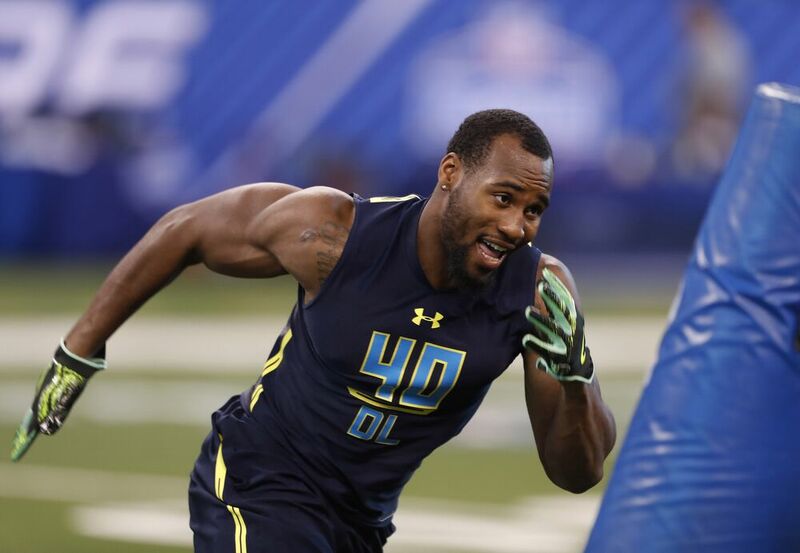 With the 12th-overall selection in the 2017 NFL Draft, the Arizona Cardinals selected Temple linebacker Haason Reddick. Reddick has come a long way since he joined the Temple football team as a walk-on defensive back. He eventually bulked up enough throughout his time at the school to become a talented pass rusher for Temple’s defense. But at his size (6-foot-1, 230 pounds), the Cardinals will likely have Reddick play as a linebacker. Think of someone in the mold of a Demarcus Ware who is on the field mainly to bring down the opposing quarterback. Even though he is primary a pass rushing specialist, he also has the ability to drop back into coverage without looking out of place. He demonstration of this at the 2017 Senior Bowl greatly improved his stock heading into the draft this year. In his senior season at Temple, Reddick finished with 65 tackles (22.5 for a loss), 9.5 sacks, one interception, and three forced fumbles. For a school that has normally been awful during their history, Reddick helped lead the defense and the team to a 10-4 record in 2016. Arizona actually led the NFL in sacks in 2016, so adding Reddick to their defense will only make their pass rush better (Russell Wilson is ecstatic). They did lose a talented defensive lineman in Calais Campbell to free agency this offseason, so adding Reddick will likely help make up for the big loss on their defense. It is a great pick for the Cardinals as Reddick could become a mainstay in their defense for many years to come. Being that Bruce Arians used to be the head coach at Temple may have had something to do with this pick also.